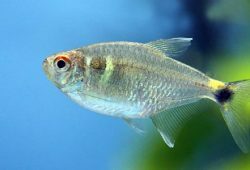 In this article I’ll tell you about Fish Behavior And Personalities. It’s just a fish! How can it have a personality? Those of you who are already an accomplished aquarist know what I’m talking about, but for those of you just starting out, setting up your first aquarium are in for a very pleasant surprise. Behaviors differ according to the species of fish you are keeping. They also differ according to the specific circumstances they are exposed to. For example, the betta is king of his castle and will fight to the death when confronted by another male of his own kind. But put him with a tankmate of another species, and he is intimidated and as docile as can be. Some fish are very docile and will get along with anyone and then there are the junkyard bullies who will harass any tankmate and even tear up the plastic plants in your fish tank. Many fish have ordered instinctive behaviors such as feeding, breeding, courtship and care of their young. Catfish will nose around wiggling their whiskers on the bottom of the tank scavenging for food. They may glance at you quizzically once in a while but would rather not be bothered. Angelfish and discus will seek out a mate for a long lasting relationship. Some of these pairs raise their young with tender loving care while others will devour the eggs or ignore the hatchlings completely. 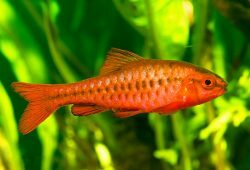 You will find these different characteristics to be quite amusing and one of the aspects that makes fishkeeping so enjoyable. Different species also will portray diversified personality traits. Your mollies and guppies are mostly concerned with feeding time. They are almost mindless until they see you approach the fish tank and will scurry to a particular corner of the aquarium where they know you drop the food. Many marine and larger freshwater species will develop a rapport with their owners. They learn to know you and will come to the side of the aquarium to greet you when they see you enter the room. They get to know you so well, in fact, that when a stranger approaches, they hide. 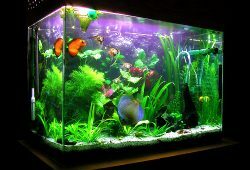 Many an aquarist has had an embarrassing moment when trying to show off his beautiful fish tank full of colorful fish (which he has bragged about for months) only to have all of his fish disappear when his guests arrive, displaying a tank with beautiful decorations and NO FISH! Oscars can be very affectionate and will rub themselves against their owners hand or arm and will, on occasion, asked to be scratched on top of their head. You can feed them from your hand and even teach them tricks (Yes, you really can). Over a period of time you will learn to know them individually and they will learn to know you. They will become more to you than “just fish”. They will be your pets and you will develope real feelings towards them. Yes, they definitely do have personalities and character traits and these little guys will get “under your skin” and “into your heart”.